Let’s get real here. 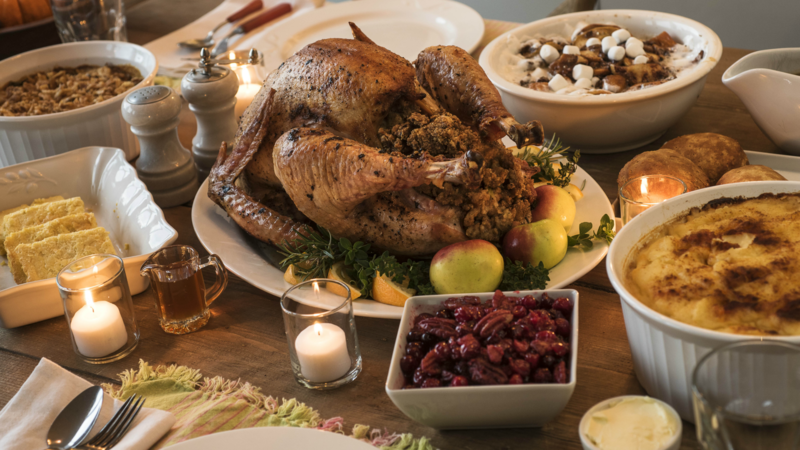 Yes, Thanksgiving has become so synonymous with chowing down on the big bird that it’s even referred to as “Turkey Day” a lot of the time — but turkey isn’t really anyone’s favorite part of the holiday feast. The sides are absolutely where all the deliciousness lies. Mashed potatoes, stuffing, biscuits with tons of butter and cranberry sauce with extra sugar are where it’s at. And you can’t eat any of it if you’re following a strict paleo diet. But before you get all sad and lament the end of Thanksgiving as you know it now that you’ve embraced the paleo lifestyle, you should know it’s not hard to whip up some sides that are just as good — if not better — than all the traditional, non-paleo fare. And the bonus? You won’t feel all heavy and gross after you eat yourself into a food coma. 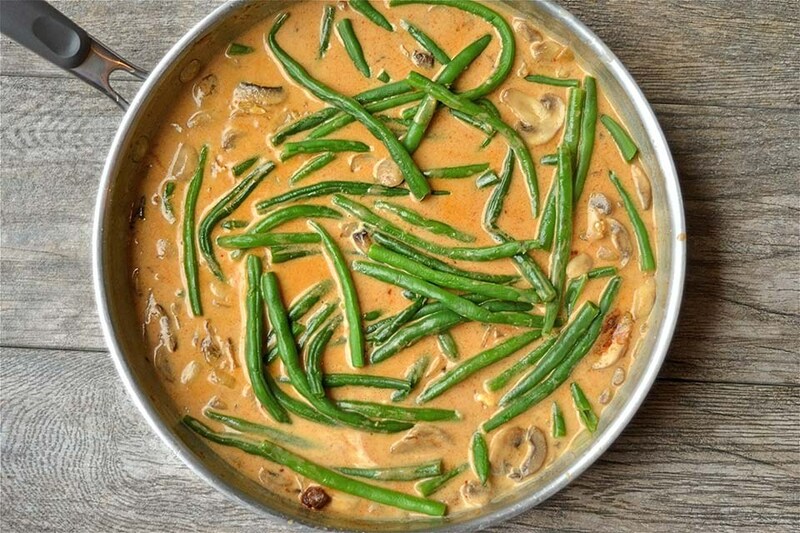 Creamy, spicy green beans and mushrooms are a modern paleo take on the classic green bean casserole. 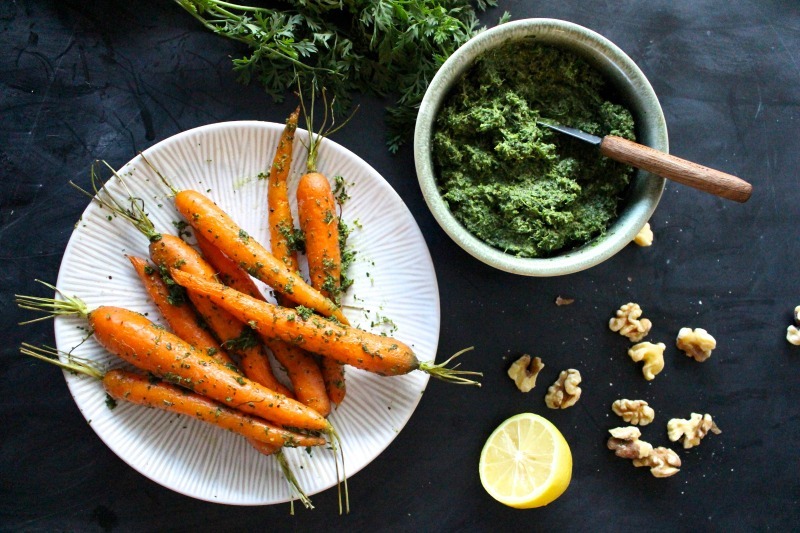 Feel slightly less wasteful this holiday season by using both parts of the carrot in this bright paleo side dish. 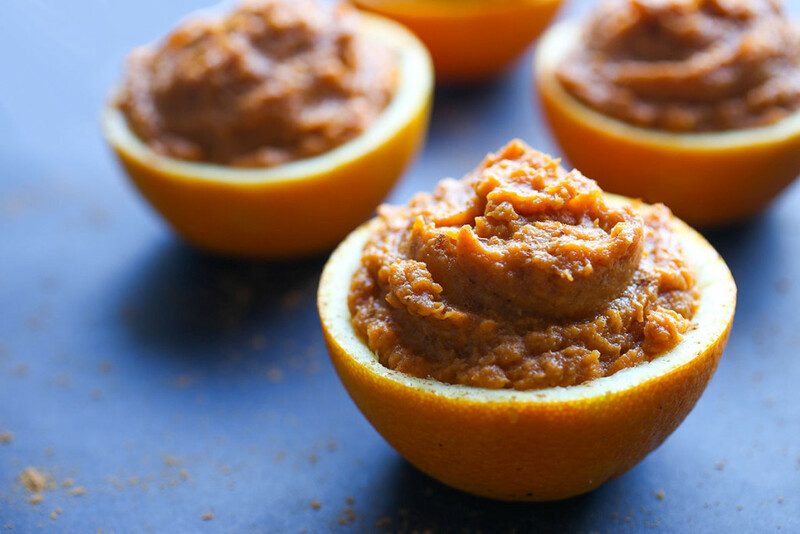 Served in orange cups, this paleo sweet potato mash has an alluring hint of citrus. 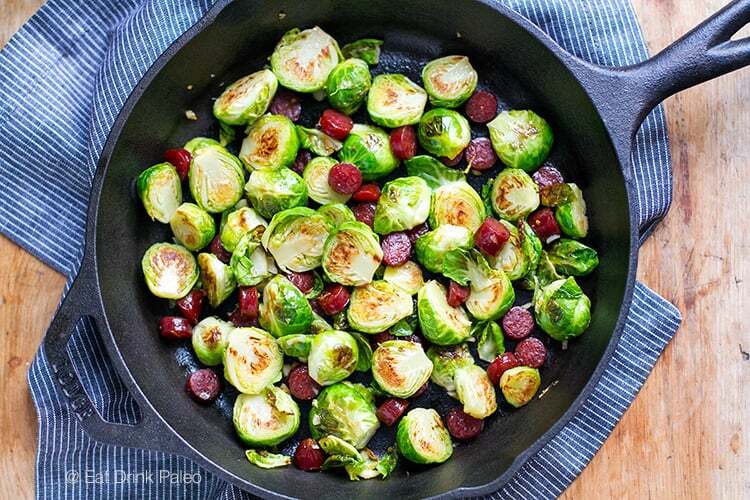 Smoky Polish kabanos sausage adds an unexpected depth of flavor to these paleo Brussels sprouts. 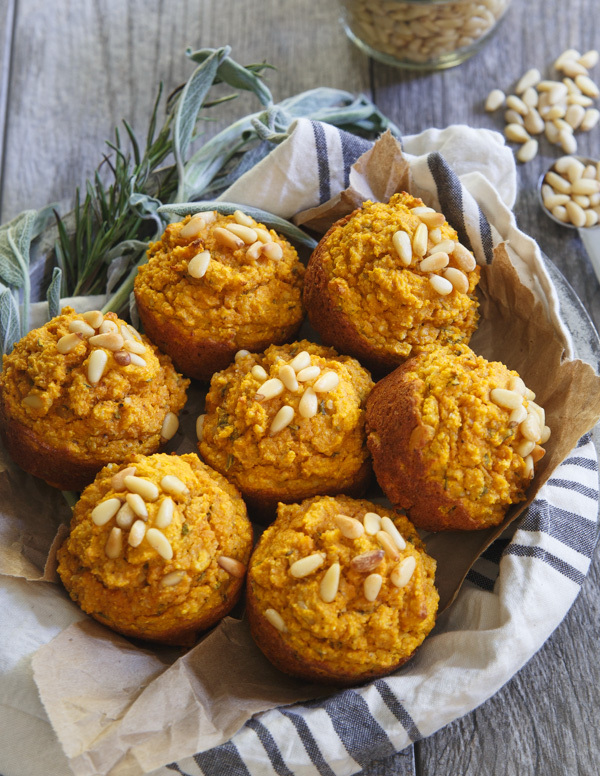 Smeared with coconut oil and cranberry sauce, these muffins are a perfect paleo side. 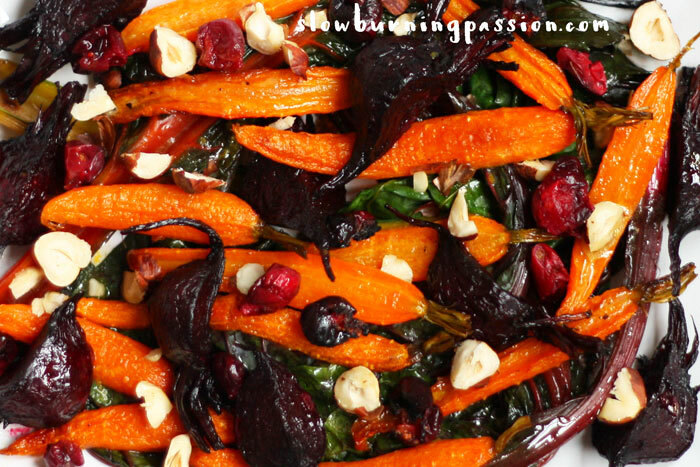 Root veggies roasted until soft and topped with crunchy nuts will almost make you want to skip the turkey. 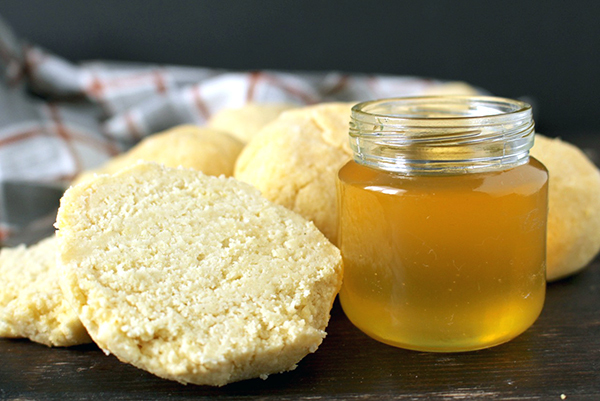 Coconut flour is the secret to these tender, tasty biscuits. 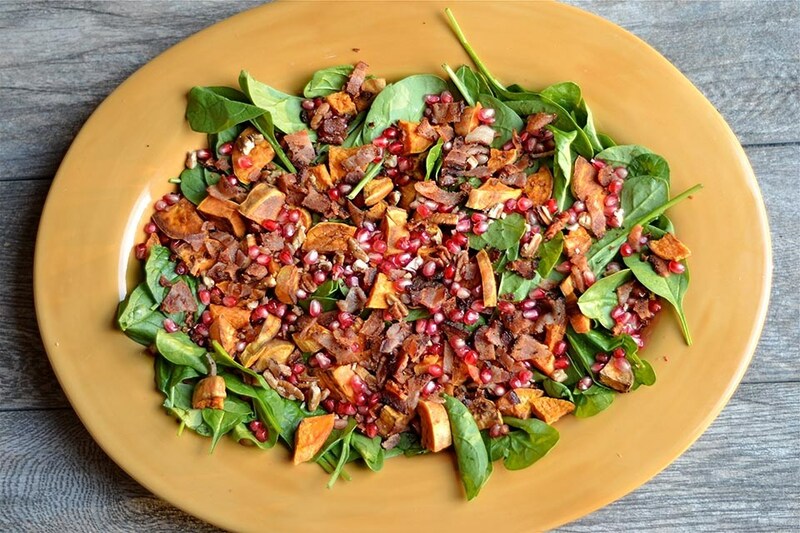 Sometimes a fresh salad loaded with sweet potatoes, nuts and cranberries, is what your Thanksgiving table needs. 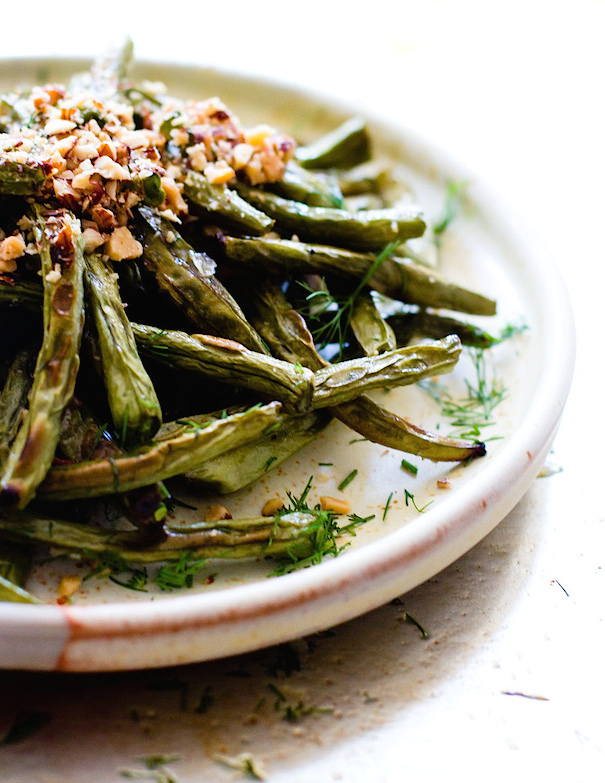 Blistered green beans topped with crushed almonds are a sophisticated, modern paleo Thanksgiving side. 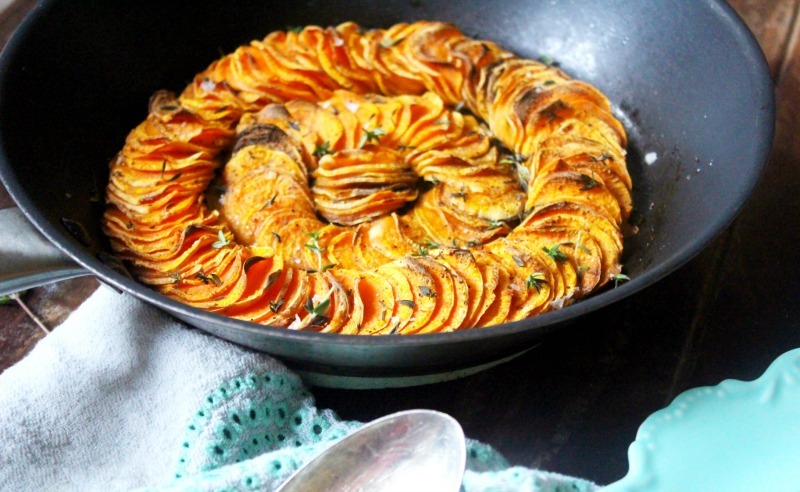 Crispy roasted sweet potatoes are a scrumptious paleo showstopper. 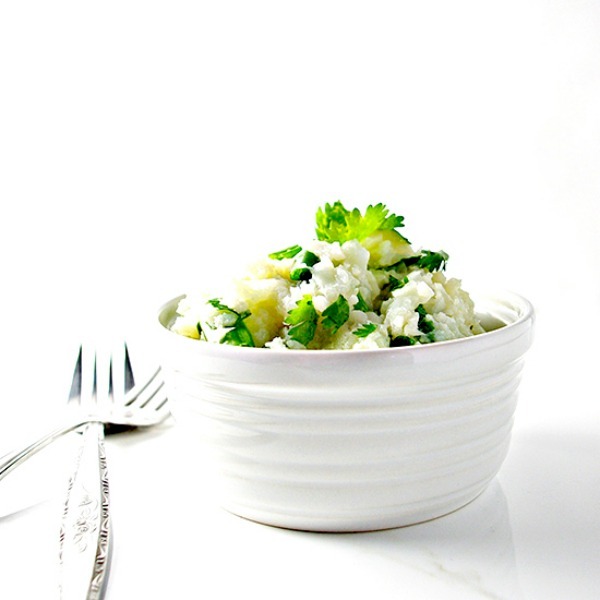 Celery root and cauliflower make for a creamy and flavorful paleo alternative to mashed potatoes. 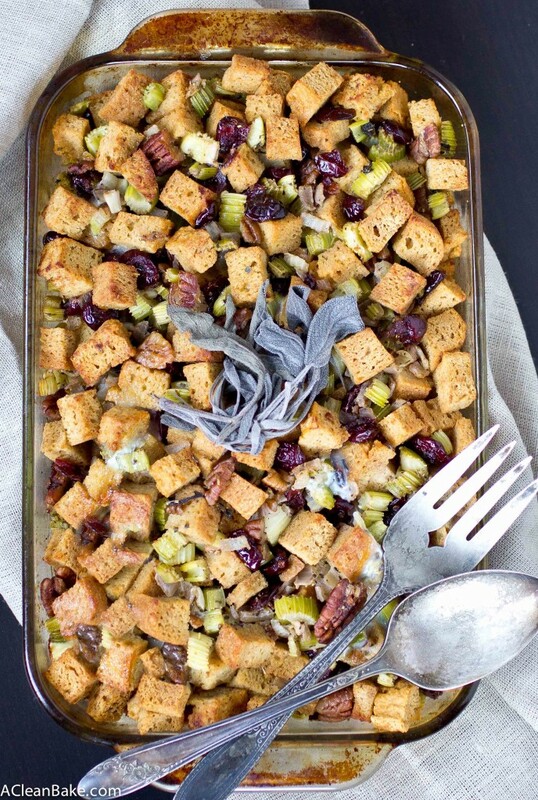 Grain-free paleo bread is the star of this cozy stuffing. 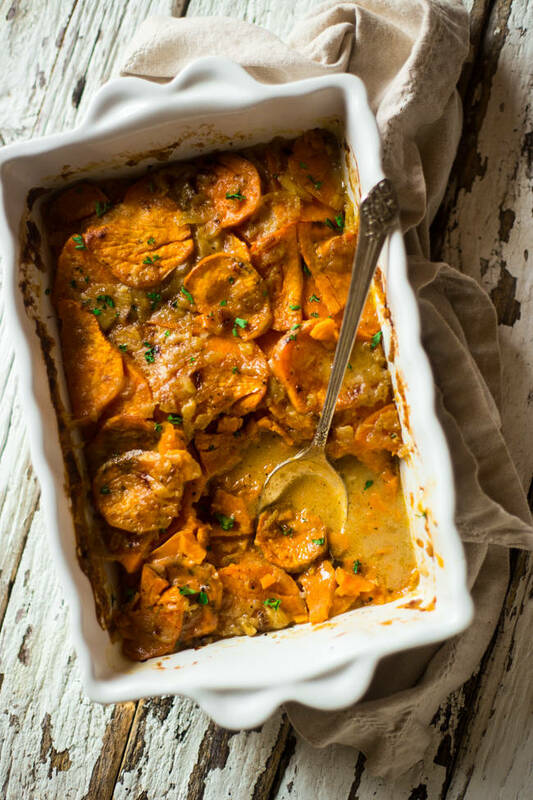 Scalloped sweet potatoes made paleo will be the star of your Thanksgiving side dishes. 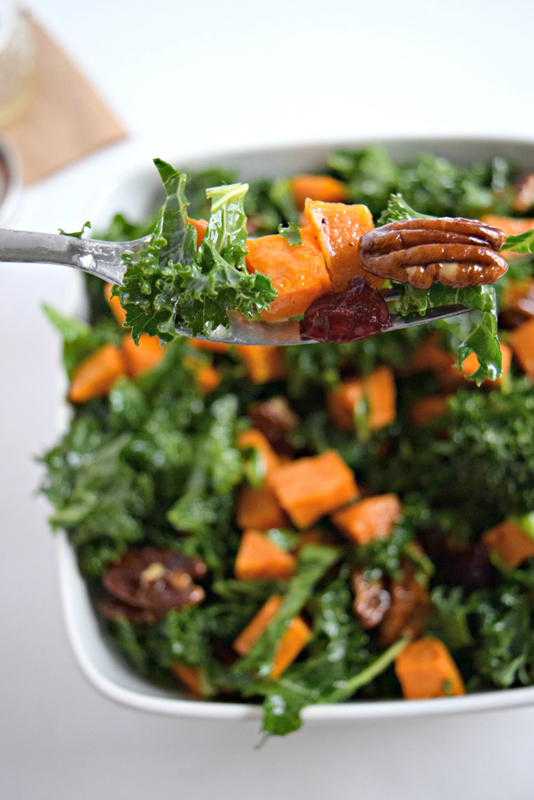 Maple-bacon dressing. Need we say more? 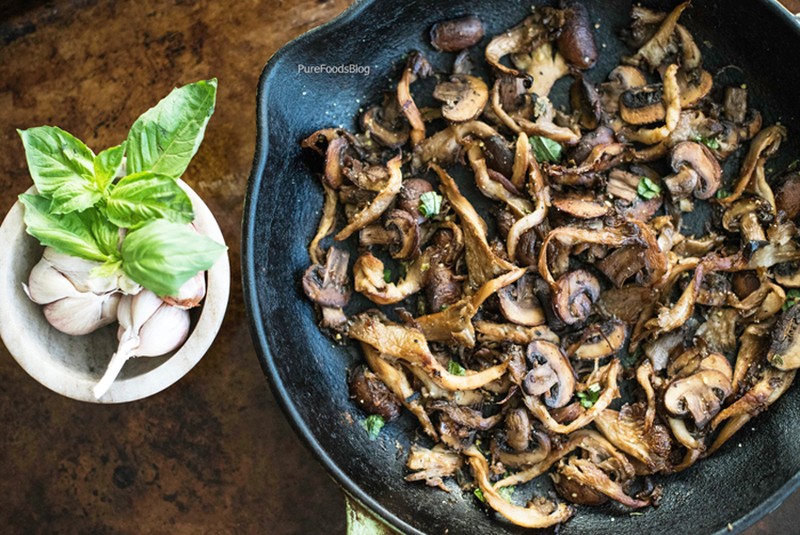 Super-savory garlic mushrooms are roasted in a cast-iron skillet to make this hearty side dish. 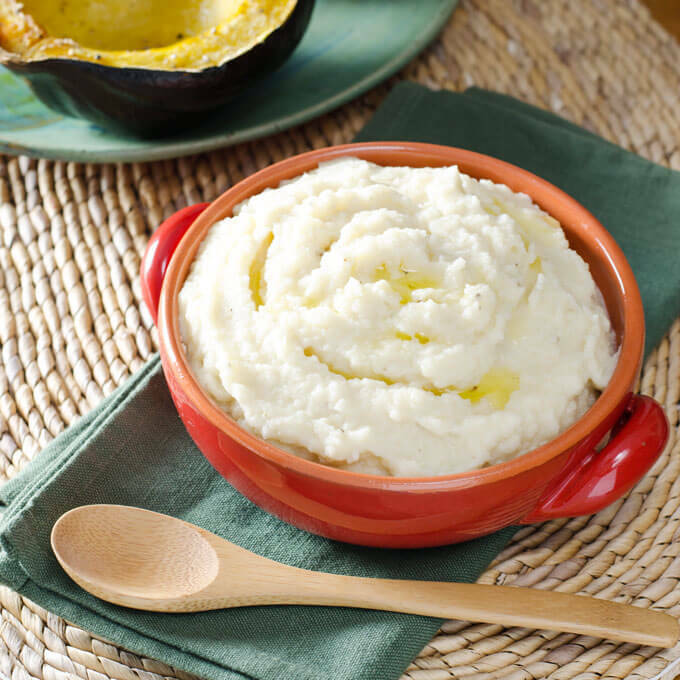 A low-carb and paleo cauliflower mash full of herbs will lighten up your Thanksgiving table. 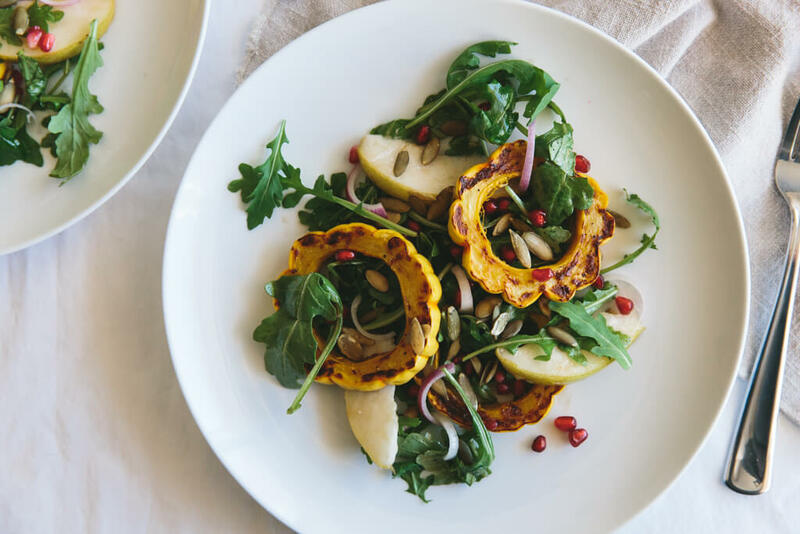 Roasted delicata squash tossed with pears, greens and pomegranate makes for an enchanting paleo salad. 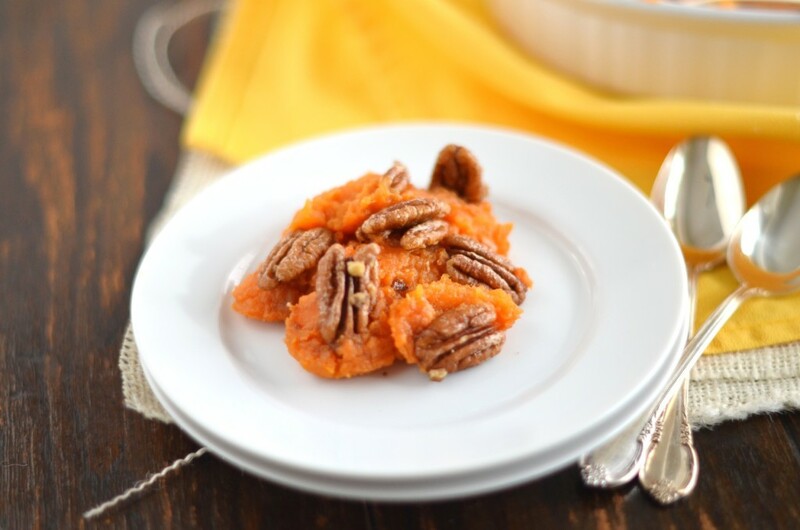 Creamy, decadent and lightly sweet, you’d never guess that this sweet potato casserole is paleo. 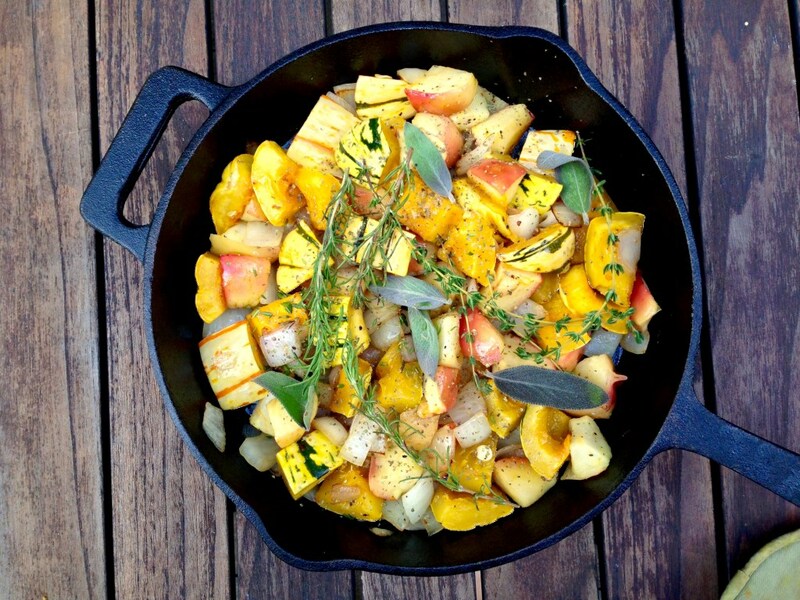 You won’t miss the bread when you make this flavorful squash, apple and fig stuffing. 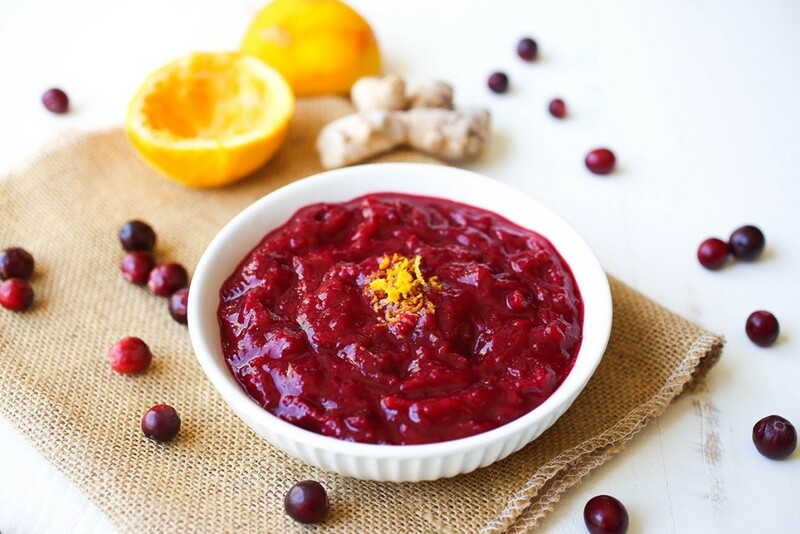 Ginger adds a hint of spice to this refined sugar-free, paleo cranberry sauce. Pin this article so you can make your favorites.